Timing and location are everything in real estate. The real estate professionals of Jim Sowell Construction Company utilize their talent for timing in all their acquisitions, sales and development decisions. This ability has allowed the company not only to weather the seasons of land development trends, but also to prosper and grow throughout the last five decades. Sowell & Co. Real Estate activities have included most product types since its inception in 1972. The experiences through those years have refined Sowell & Co.’s primary focus to development land. Current projects vary in uses among retail parcels, industrial sites, multifamily tracts and single-family land and lots. Arlington, TX This is the remaining 52 acres of mixed-use zoning of 103 acres adjacent to Arlington Municipal Airport. Denton, TX A 63-acre parcel of mixed use residential land. 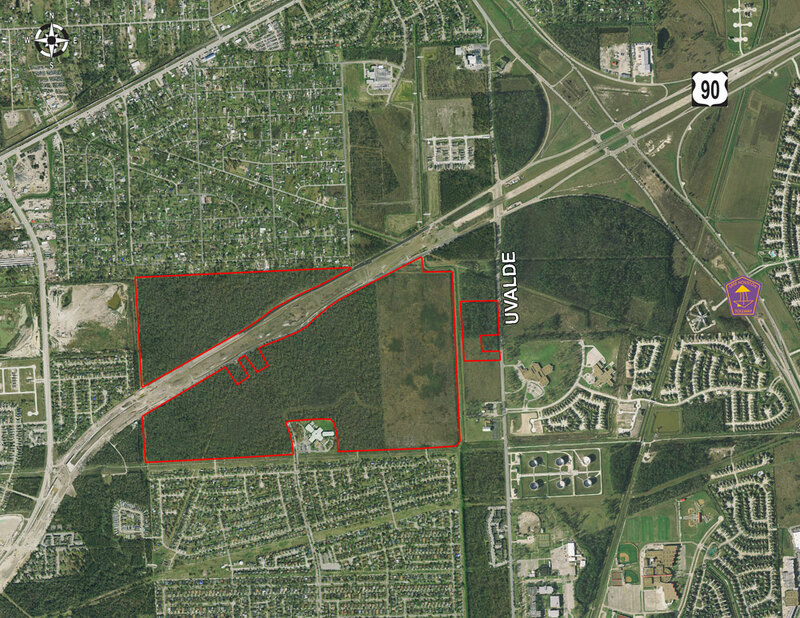 Dallas, TX This 126-acre project is the largest undeveloped parcel in West Dallas. This project is a beneficiary of the City of Dallas’ Trinity Park Plan, creating an urban oasis in the metroplex. With its considerable real estate experience, Sowell & Co. quickly recognized the opportunity in the building materials industry presented by the creation of Hunter Ferrell Properties. This specialized real estate company has the expertise to locate and develop properties with marketable sand and gravel reserves, which are vital to the construction industry. To move product most efficiently and to maximize return, Hunter Ferrell concentrates only on those properties within close range of the most active construction areas, and aggressively markets its products through various sales channels. After the sand and gravel reserves are harvested, another profitable opportunity affords itself. The properties are then reclaimed and made available for sale or development. Raw land can hold valuable resources for building projects. Here, sand and gravel are harvested from one of the company’s sites in Denton County, Texas, for sale to a construction company. 16 acres on I-35, north of George Bush Tollway. This property has great visibility from these two major arteries. 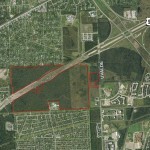 10 acres on Trinity Blvd., immediately south of the successful Center Port development. This site offers flexible zoning in a central Metroplex location. Click here to view all prior Real Estate projects.